Stefano Rocchi, Cecilia Mussini (ed. ), Imagines antiquitatis: Representations, Concepts, Receptions of the Past in Roman Antiquity and the Early Italian Renaissance. Philologus. Supplementary volumes, 7. Berlin; Boston: De Gruyter, 2017. Pp. viii, 327. ISBN 9783110517804. €109,95. Imagines Antiquitatis is a collection of papers given at a conference hosted in 2014 by the Almo Collegio Borromeo and the Collegio Universitario Santa Caterina in Pavia. The volume is the latest in a recent spate of publications that aim to fix the sense, as slippery in ancient as in modern discourse, of words (vetus, antiquus, palaios, etc.) referring to the past. The bibliography, surveyed by Stefano Rocchi and Celia Mussini in their introduction, suggests that this is a topic recently broached to which field-changing contributions can still be made. Some of the essays contained in this volume constitute such contributions; the remainder are valuable analyses of the way these terms function in individual authors and genres. Imagines Antiquitatis will be a touchstone for future scholarship about the past of the past. Rocchi and Mussini's introduction sets an agenda for Imagines that embraces a range of basically philological approaches to the problem of pastness in antiquity. They have divided the assembled contributions into three sections treating structures, functionalizations, and authority claims in Roman discourse about the past. Outstanding in the first of these sections is Giancarlo Mazzoli's contribution, "Semantica senecana del primitivo." Like many of the best essays in the volume, this one takes a flexible approach to the semantics of "pastness" in a well-defined corpus. Mazzoli's investigation reveals that vetus, antiquus and related terms in Seneca highlight values, not chronology. The axiological sense of these terms has a double character, since Seneca conjures up good or bad primitivisms depending on the rhetorical needs of the moment (pp. 31-32). Antiquitas is a keyword, charged with significance: we should not expect such terms to possess only one meaning in Latin any more than they do in English. Mazzoli's piece sets the tone for most of the essays that follow, which pose the questions raised in Rocchi and Mussini's introduction with respect to single authors or genres. In "The Past in Pausanias" (ch. 4), for instance, Julian Schreyer shows that concepts of antiquity are even more salient for the Periegesis than we might have assumed: by positing the past as something in danger of being lost, Pausanias' archeological vocabulary justifies his writing and our reading this conservationist text. Virginia Fabrizi's contribution, "Livy's Antiquities" (ch. 6), suggests that the dialectic of memory and forgetting topicalized in the preface of the Ab urbe condita orients Livy's (and his characters') use of vetus and vetustas throughout the first pentad and beyond. For the most part, these essays are not theoretically ambitious; rather, they use philological evidence to answer questions posed by the volume's theoretical framework. Marco Formisano's contribution, by contrast, aims to transform the way classicists talk about pastness. "Tarda antichita anacronica" (ch. 5) brings recent developments in Renaissance and Medieval art history to bear on literary genres in late antiquity, with results that demonstrate the utility of an "anachronic" approach to this period and others.1 By paying attention to the ways in which a fourth-century history like that of Ammianus Marcellinus not only cites but presents itself as a substitute for older historiography, we can see how the "lateness" of such texts is not just an artifact of modern periodization; as Formisano argues, it also turns out to be a stylistic effect employed by some late-antique writers. In "Princeps et res publica" (ch. 7), Claudia Moatti pursues a similar line of inquiry with respect to the much-debated question of what res publica should be taken to mean in imperial discourse. Moatti is particularly interested in untangling the relationship between ruler and republic: does one govern the other, or are they taken to be identical? She pursues this topic into the legal literature of the third century CE, where a full-throated "anachronic" use of republican vocabulary seems to have the function, ideologically, of reproducing the past in the present. At the same time, and with more enduring effects, historians begin to memorialize the vetus res publica as a social or cultural structure rather than a certain kind of state. This, Moatti argues, is the image of antiquity that Augustine and his Christian contemporaries end up attacking (p. 126). The "late" focus of Moatti's and Formisano's essays highlights a major virtue of this collection, which is the way it shifts the focus of discussion toward historical periods that are already self-consciously postclassical. Cecilia Mussini's treatment of Poliziano's citational habits (ch. 8) and Gerhard Regn's account of the early assimilation of Dante and Petrarch to the classical canon (ch. 9) are both fruitful developments of this tendency. In different ways, both essays show how the assimilation of the new to the old for polemical purposes may erase or ignore chronology. This is a feature of vetustas-language in ancient texts, too, but we aren't always as alert to it as we might be. That Boccaccio (p. 157) or a 14th-century manuscript of the Scriptores rei rusticae (p. 137) could under some circumstances count as vetus for Renaissance writers is arresting evidence that antiquity should be treated more as a rhetorical effect than as a periodization. The final section of the volume, "Veteres: the Relation to Past Authorities," is by far the most coherent of the three. Each essay in it confronts the difficulties involved in selecting authorities from the past, especially if those authorities are supposed to cohere into a singular "authority" that continues to govern the present. If the field of reception studies has explored the problem in depth with respect to modern deployments of the classical heritage, it remains understudied within antiquity itself. Opening this section is Stefano Rocchi's "The Burden of Antiquity in Horace and the Dialogus de oratoribus" (ch. 10), an essay that usefully reminds us how often Latin writers of the Principate and early Empire opted to reject entirely the notion of an authoritative past. Horace in Epistles 2.1 and the Aper of Tacitus' Dialogus present attacks on antiquity that overlap in important respects, in particular through their construction of "progress" narratives that stigmatize literary vetustas as underdeveloped by comparison with the culture of their respective presents. This argument too, as Rocchi points out, involves a process of selection: Horace and Aper hold particular texts from the past up for mockery, including Appius Claudius and the much-abused Ennius. The next two chapters highlight more positive valuations of ancient authority among Roman rhetoricians and antiquarians. Here too, though, the scope of what antiquity can vouch for turns out to be limited. In "Fronto's and Gellius' veteres" (ch. 11), Leofranc Holford-Strevens finds variety within the antiquarian turn in second-century CE Latin literature: Fronto turns to the ancients for lexicographical oddities, while Gellius is more broadly concerned with the limits of "correct" linguistic usage. Both authors caution against servile imitation of the antiquiores. Mario del Nonno's contribution, "Vetustas e antiquitas, veteres e antiqui nei grammatici Latini" (ch. 12), shows that grammarians exploit ancient authority in a similarly wide range of ways. For these writers too, vetustas may license certain expressive choices, but should not become an object of slavish imitation. Dario Mantovani's "Quando i giuristi diventarono veteres" (ch. 13), an outstanding contribution, shifts the generic focus to legal writing, a genre in which antiquating vocabulary has a history and a function all its own. Here, writers marked the divide between "former laws" (no longer in force) and "old laws" (which could still be invoked as precedent) by calling the former antiquus and the latter vetus. Mantovani answers the question posed in his title by locating the coalescence of the second of these categories in the last quarter of the first century CE (p. 288), at a moment when writers began to use veteres without qualification to refer to those ancient jurists whose authority was more or less universally acknowledged. We may see this development, as Mantovani suggests, as indicating an early (and consequential) awareness of the significance of the Augustan transformation within the legal profession. The text of Imagines has been well-edited and contains few typographical errors. The end matter is unfortunately sparse: an index mostly restricted to nomina propria, no index locorum, no general bibliography. Despite these absences, Imagines antiquitatis remains an eminently usable volume: although most of the contributions are in Italian, English abstracts of each contribution have been helpfully provided to make these partially accessible to an anglophone audience. Specialists in the fields addressed by these essays will find many of them useful, while the volume as a whole makes an important contribution to our understanding of the ways that classical writers positioned themselves within or against their own pasts. 1. Formisano's technical vocabulary here is borrowed from A. Nagel and C. Wood (2010), Anachronic Renaissance. New York: Zone Books. In this richly illustrated volume, which draws on an impressive range of sources including literary works, plastic art, grave goods, gems, and papyri, Faraone defines an amulet as "any object—plant, animal, or mineral; natural or manmade, image or text—that the Greeks placed on their bodies, domestic animals, homes, ships, vineyards, or cities in the hope of protecting themselves, of curing some illness, or of gaining some benefit, usually understood in the abstract—for example, charisma, prosperity, or victory" (5). The central argument of the books is against past perceptions of a sudden appearance of amulets in the Roman Imperial period, and furthermore of this perceived introduction as a product of oriental influence or decay of earlier rationality. Instead, we should speak of an increase in the visibility of an amuletic tradition already long extant in the Greek world, which is owed to the addition of texts to amuletic objects that would not otherwise have been marked as such. Consequently there is a call for re-evaluation of the extent of this earlier, less visible phase of the tradition. The book is divided into three parts, each considering a different type of amulet, or rather, means by which amulets may be identified. The first, "Archaeology," looks back to the period before the transformation proposed by Faraone, as far as Classical Greece. Over three chapters abundant evidence from representational art and the archaeological record is adduced for a greater presence of amulets in this period. Special attention is paid to significant shapes, such as "weapons, seashells, and animals, as well as those that take the form of human body parts," and to media, in particular certain metals and stones. Throughout, two evidentiary problems are in constant sight, the limited survival of organic substances, the substrates for many amulets, and the fact that surviving objects may have been amuletic but elude conclusive identification due to the lack of inscriptions or other explicit internal identification. The testimony of literary texts on amuletic properties of various substances goes some way to filling this gap, and supports the identification of specific, surviving artifacts as amulets. The second part turns similar attention upon images. A chapter entitled "Action Figures" shows already an addition to traditional amulets of scenes of armed conflict or struggle, serving as analogies for the desired protection. Another is devoted to the miniaturization of statues of household divinities as amulets. Faraone also focuses explicitly on Egyptian traditions in a chapter on "Pharaonic and Ptolemaic Gods." The appearance on amulets of those of the latter category, the "Isiac" deities Isis, Sarapis, and Harpocrates, can be seen as a creation of the Ptolemaic period, propagated particularly with Greek in mind. The third part constitutes the strongest, or at least the most transparent evidence for a transformation, in the form of the addition of inscribed texts, in particular to objects that might have sufficed as amulets on their own. Frequently the texts themselves refer explicitly to amuletic functions. These are divided along a usefully defined typology as "prayers" (chapter 7), "incantations" (chapter 8), and "framing speech acts" (chapter 9), the last involving the new application of exorcism and narrative analogy (historiola) as frames for simpler utterances, such as ordering a noxious entity to depart. Among the "further trajectories" for future work mapped out in the concluding chapter, noteworthy are further nuances for the typology of amulets with respect to context of deployment and personnel involved in production and circulation. In the former, Faraone suggests gradations with respect to physical locales — places of work, landed property, houses and parts thereof — and parts of the human body. In the latter, attention is called, inter alia, to evidence in the accuracy of text copied on amulets for literacy, or lack thereof, among professional amulet-makers. To close, there is a tantalizing introduction to a kind of reception of the amuletic tradition, in the form of re-purposing of amulets themselves as well as their motifs in the Middle Ages, which would richly repay the further attention of Classicists and could claim a place alongside better-known receptions of literary texts and monumental art and architecture. To these considerations we may add that the question remains of why the transformation occurred, if, as Faraone persuasively argues, it is not mere superstition or an oriental fad. As far as texts are concerned, as simple an explanation as the permeation of the well-known Roman "epigraphic habit" is attractive, but one wonders about a certain tension between the core argument of the book and statements such as, "[A] simple incantation ... would have sufficed in earlier times, but in the Roman period, the Greeks need to add a powerful divinity as a kind of overseer" (221). Whence this need? The volume is elegantly produced and, it bears repeating, painstakingly illustrated with the photographs and drawings that should be the basis of the study of these artifacts. It may be hoped that future work will follow this example. References may occasionally be supplemented: for the inscribed phallic Corinthian perfume jar with figure of Priapus or Silenus discussed at 76-77, add SEG XLIII 193, where H.W. Pleket has discerned ἡ καλή at the end of the inscription, perhaps marking the object as an amorous gift; for the gemstone said to come from Tunis (rather Sousse, ancient Hadrumetum) discussed at 211, the correct SEG reference is IX 818, where the proposal regarding βκσν as apotropaic distortion of βασκοσύνη is already recorded (it belongs to Louis Robert). At 211, an incantation for styes recorded by Marcellus (8.193) is translated "Flee, flee, [sty], a stronger one [i.e., a god] pursues you!" with an explanatory note following Heim in supposing that "the word krithê (sty) probably dropped out of the manuscript before the word kreiôn." The Greek text, in its garbled transmission in the two medieval Latin codices of this medical author that transmit the passage in question, runs ΦΕΥΓΕ ΦΥΓΕ ΚΡΙΘΕΙ ϹΕ ΑΙΩΚΕΙ, for which the proposal of Dilthey, not mentioned here but accepted in the edition of Niedermann (1916), seems preferable, φεῦγε φε⟨ῦ⟩γε, κριθή· ⟨κριθή⟩ σε ⟨δ⟩ιώκει by simple saut-de-même-au-même: "Flee, flee, sty: a barley-corn pursues you," especially as the accompanying directions set up an analogical pricking of the sty (κριθή rendered in Latin as hordeolus) with corns of barley (hordeum), translating and preserving the operative etymological relation between affliction and cure in the Greek κριθή. Regarding discussions of Byzantine treatises on veterinary medicine, which include some incantations from the ancient tradition, to the collection of Heim the more recent edition of Eugen Oder and Karl Hoppe, Corpus Hippiatricorum Graecorum, should be preferred. Errors are few and concern, as far as this reviewer has found, points tangential to the main argument: the commentary on Gregory of Nazianzus cited from PG 36:907 for definitions of amulets and incantations (7) is in fact anonymous, not to be attributed to a "tenth-century commentator Basilius" but only included as an appendix to selections from that author in the edition of Migne; at 213, a "Roman-era recipe" for the removal of throat obstructions is cited from the Testament of Solomon (18.20), which belongs instead to the early Byzantine author Aetius of Amida (Iatrica 8.54), and which hence, rather than "preceding the Christians," explicitly attributes its command to the obstruction ("Come up or go down!") to a martyr, Saint Blaise, who in fact cured a similar complaint according to his hagiographical biography and continues to this day to serve as patron saint of those suffering from throat ailments. 4. The epithet "of Bordeaux" is supported by convention but not historical fact: on the man and his work add a reference to M. Ewers, Marcellus Empiricus, De medicamentis: Christliche Abhandlung über Barmherzigkeit oder abergläubische Rezeptsammlung? (Trier 2009). Dimitra Andrianou, Memories in Stone: Figured Grave Reliefs from Aegean Thrace. Meletemata 75. Athens: National Hellenic Research Foundation, Institute of Historical Research, 2017. Pp. 472. ISBN 9789609538640. €72,00. As Dimitra Andrianou rightly states at the very beginning of her book, southeastern Thrace is still "an understudied" area. For a long time, interest in the antiquities of Thrace, especially its southern and southeastern parts, has been somewhat lagging, although recently there has been an upsurge of Greek scholarship on the Greek part. In addition, researchers are paying increased attention to the Turkish part of this remarkable region that bridges Europe and Anatolia. Meanwhile, for centuries, inland Thrace has been the subject of thorough studies by Bulgarian scholars since the lands inhabited by the Thracians in the past represent the core of the national territory of present-day Bulgaria. This dynamic, though uneven, development of scholarly work on the material and spiritual life of ancient Thrace is inspiring because of the vast possibilities that it suggests for cultural contacts within the Eastern Mediterranean. Andrianou's book is a corpus of the figured funerary reliefs from Aegean Thrace that thus far have been discussed only concisely in a number of different (and mostly local) journals. In addition it provides a partial supplement to the epigraphic corpus of Aegean Thrace (IThrAeg ). The book consists of three main sections, of which the first aims to familiarize the reader with the funerary reliefs under discussion. These are grouped into four chronological units: seventh to fifth centuries BC; the fourth century BC; third to first centuries BC; and first to third centuries AD. Within each group the monuments are first briefly set against their historical background and the context of the relevant funerary tradition; the author then describes their architectural form and iconography. The corpus reveals that the earliest known figured gravestones from Aegean Thrace date back to the last quarter of the sixth century BC, while the latest are from the third century AD. The seventh century is discussed only as historical context for the arrival of the first Greek settlers on the Aegean shore. This first description of the monuments is concise and clear, and is not intended to duplicate the catalogue entries because, unlike the latter, its purpose is to direct the reader to iconographic, stylistic or chronological problems. It also includes historiographic comments. The figured funerary reliefs are compared to the inscribed but undecorated grave stelae of Aegean Thrace (as presented in the IthrAeg): when a figured relief has an inscription, Andrianou uses this evidence to provide statistics about the discoveries of funerary monuments and types of burial rites. Verbal characteristics, such as the naming of the memorial, the types of invocations, the spread of specific types of monuments, information about the nationality and other affiliations of the deceased are also discussed. A short chapter between the first and second section of the book outlines the typology of the funerary stelae in the North Aegean: naiskos type, panel stelae Stockwerkstelen, Grabreliefs—(the last two terms are adopted from the German vocabulary for clarity and in order to credit the widely acknowledged contribution of the German archaeological school to this field). The second section of the book is dedicated to the funerary iconography of the South Aegean stelae. As mentioned above, the goal of the repetitive approach differs from the first part in order to focus on each specific theme, without reference to other features of each monument. Two subjects are of primary importance during the period under consideration: that of the Rider (Heros Equitans) and of the Funerary Banquet (Coena funebris). Andrianou contributes considerably to the understanding of both, seeing them as markers of a larger ideological layer that covers religious beliefs, funerary rites, cultural contacts, as well as some historical and social matters (indigenous population and immigrants, professions, social status). The author's overall conclusion is that in regions where Greek culture had stronger impact (usually along the littoral), the Funerary Banquet scene (part of the Ionic repertoire) was more popular, while the Rider iconography was used in inland Thrace. Andrianou's other important observation is that the banquet iconography in South Aegean Thrace lacks the heroic connotation typical of the Hellenistic and Early Imperial reliefs to privilege depictions of families and implications of familial bonds. Several other figural themes are discussed but not at great length because of the small number of extant monuments and their often fragmentary preservation: seated or standing men and women in isolation, various family members, half-figure portraits, gladiators, upraised hands, wreaths, archaistic-style reliefs, and the dexiosis motif. This section concludes with a chapter that summarizes the production of figured gravestones in Aegean Thrace. I suspect that Andrianou would have liked to define the regional styles of the reliefs in Aegean Thrace, but the scarcity of material and their publications makes such an ambitious project hard to achieve at present. Meanwhile, her work is a good presentation of the iconographic influences, starting with the earliest ones from Ionia, through those from Thasos in the fifth century and from Attica in the fourth century BC. As elsewhere in the text, the final chapter of the second section includes an excursus on the sculptural production of the neighbouring Thracian lands. Andrianou focuses on the general Greek, and specifically Ionian iconographic tradition, but she also mentions the ideosyncrasies that existed in the colonies of the Black Sea littoral due to their cultural bonds with either their Doric or Ionic metropoleis. The Ionic/Anatolian influence was particularly strong during the sixth and the fifth centuries BC. An important conclusion is that all the discussed iconographic themes from the sixth to the third centuries BC continue to appear on later funerary reliefs in the Pontic colonies and in the Asia Minor centres, as well as in Aegean Thrace, although irregularly. Certain new subjects are introduced, such as the Banquet with many characters, the standing female of the Herculanean type, gladiators, couples in dexiosis, but other typical Roman subjects, like the imagines clipeatae, do not appear on the known monuments. The Greek tradition stood its ground. Thrace's traditional cultural ties with Asia Minor (from Scythia Minor to the north as far as Cilicia to the south, as the author points out) received new impetus during the Roman period. There are subjects that are not present in Aegean Thrace: the portrait medallions as well as the depictions that allude to the occupation of the deceased, and, rather significantly, there are no military funerary markers. Yet, the overall important conclusion is that the extant material does not present "evidence for heavy Romanization". The use of Latin in funerary inscriptions is rather limited as well. Andrianou has dedicated several pages of her book to items from inland Thrace, relying on the results of some major studies in this field by other scholars. It becomes clear from this information, however brief, that despite the generally prevailing Greek influence, the fact that both inland and Aegean Thrace became part of the Roman Empire nolens volens brought in certain typical traits of Roman civilization. In many ways the figured funerary reliefs of Aegean Thrace show this new cultural affiliation. The third main section of the book contains several short chapters that supplement the main study, plus a catalogue. One of the chapters is a compilation of onomastic studies pertaining to Aegean Thrace. The list of extant names, including their origin (Thracian, Greek and Roman), helps to enrich the picture of a society whose members were honoured with funerary reliefs. It becomes clear that during the periods under discussion the population consisted mostly of Greeks and Thracians, with a small number of immigrants. Another chapter of the third section concerns the provenance of the stones used for figured reliefs in Aegean Thrace. The data result from a technical project with the participation of the author. Thus far the team has identified only the marble quarry of Marmaritsa, in the vicinity of Maroneia. Local poros stone was used for the necropolis of Abdera. A chapter by L. Lazzarini gives the details of the marble analysis. Although not abundant, the evidence used by Andrianou is instructive, providing information on different aspects of the life of the ancient inhabitants of Aegean Thrace. Andrianou handles this material with caution, especially when dealing with fragmentary or damaged monuments. As she observes, the entire sculptural production of Aegean Thrace is small. Nevertheless, this modest number of monuments has sparked a rich multivalent discussion about the artistic influences in the Aegean area, the role of the Thracian and Greek populations in the formation of the local culture, and the degree of Romanization. The catalogue produced by Andrianou contains 70 figured funerary reliefs from the entire South Aegean region between Nestos and Hebros, some of them not of the best artistic quality. Quite appropriately, specific attention is paid to several pieces: the frieze from Shapli-dere (no. 3), the enigmatic relief from Maronea with a winged figure (no. 8), the naiskos stele with two standing female figures in the Archaeological Museum in Komotini (no. 35), the naiskos stele with banquet scene in the same museum (no. 37), the plaque with banquet scene in the Tavaniotis Archaeological Collection (no. 44), the Stockwerkstele with Heros Equitans in the Komotini Archaeological Museum (58). The footnotes are a good addition to the main text, containing not just simple bibliographical references but often clarifications about, and summaries of, the cited works. The book includes a good set of black-and-white photographs of the reliefs, taken from different angles and sides; the illustrations thus become an important supplement to the verbal description. I should emphasize that the designers have done an excellent job. To conclude: Dimitra Andrianou demonstrates a thorough knowledge of the monuments she has included in the catalogue, as well as of those she uses as parallels. Of the utmost importance is the fact that she has inspected all of them personally. Obviously, the author has spent much time looking for monuments often buried in museum storerooms, and I can only imagine how frustrated she must have felt when unable to find some pieces or when she was denied permission to study certain monuments; moreover, a good number of items remain unpublished. Andrianou is well acquainted with the scholarly research on funerary iconography; quite naturally, she uses mainly Greek sources but shows a very good knowledge and appreciation of the publications by Bulgarian, Romanian and Turkish scholars as well. It goes without saying that all literature regarding reliefs, chiefly in German, is also included in the bibliography of her book. This book is written for professionals. Many terms, notions and formulations would be a serious challenge for the non-professional reader—all the more so because, as already mentioned, this part of the ancient world is not as familiar to the general public as the Greek regions. 1. I am most grateful to Mrs. Mariana Nedelcheva-Raykov who kindly edited the English version of this review. Nikolaus Egel, Giovanni Pico della Mirandola: Neunhundert Thesen. Übersetzt, mit einer Einleitung und Anmerkungen. Philosophische Bibliothek, 708. Hamburg: Felix Meiner Verlag, 2018. Pp. xliv, 217. ISBN 9783787331833. €22,90. The works of the Italian philosopher and humanist Pico della Mirandola (1463-1494) have been met with a growing interest among the German-speaking Neo-Latin world in recent years. To that effect, Meiner's series Philosophische Bibliothek (also known as the 'green series' in Germany) has produced the fourth student edition of one of Pico's works, this time of his Conclusiones nongentae (1486). Pico designed these 900 theses as the basis for a disputation he envisioned to be held among the most important scholars of his time, in order to reconcile the different existing philosophical and theological traditions and integrate them into one big peaceful Christian concept of the world. Apart from his treatises Apologia (a vindication of the 900 theses) and Heptaplus (a discourse on the seven days of creation), Pico's Conclusiones number among the only works published during his lifetime. In light of Pico's grand undertaking as well as his acknowledged role as one of the leading Renaissance figures, it is quite striking that Egel's edition is only the sixth modern edition of the Conclusiones and the first German edition altogether after the French editions of Kieszkowski, Schefer and Viellard, the Italian edition of Biondi and the English edition of Farmer.1 Compared to the quantity of editions in which the texts of other Italian humanists have been prepared, six editions is a relatively small number. Making the text also accessible in German, however, has fulfilled a big research desideratum, even though the edition is 'just' a student edition. The reasons for that are manifold. Just to mention the most crucial ones: Neo-Latin and Renaissance studies are—maybe apart from Italy—nowhere near as strong as in the German-speaking world at the moment; a German edition of the preface to the 900 theses, Pico's Oratio de hominis dignitate, had already come out almost thirty years ago (in fact also in the 'green series')2; Pico is not only one of the key figures of Renaissance Humanism, but also the first non-Jewish scholar known to have studied the Kabbalah; and last but not least, Pico's theses constitute an interesting source for a wide range of research topics surrounding the Early Modern Period such as philosophy, theology and university/humanist speeches. Egel does appropriate justice to the demands of a student edition. He provides his edition with an introduction (pp. VII- XLIV), the Latin text accompanied by a German translation (pp. 1-197), an appendix consisting of Pico's thirteen theses condemned by the papal commission (pp. 199-201), notes on the text (pp. 203-206), a bibliography (pp. 207-213) and an index of names (pp. 215-217). Despite the fact that each of the edition's single parts and chapters is kept basic and pointed enough to suit a student's (or any Neo-Latin beginner's) needs, Egel shows a sound up-to-date knowledge of both the life of Pico and the context of his theses. The introduction perfectly reflects Egel's scholarly engagement in that respect. It basically comes down to a solid survey of the scholarship on Pico. Even though room for new ideas and observations is hardly left, the format of a student edition does not require otherwise. In the first chapter, Egel broadly discusses the intellectual background and aim of Pico's 900 theses from the beginning of his literary enterprise in 1486 to the retraction of the printed text and Pico's excommunication a year later. Pico's most important life dates are skilfully fused with the context of his theses, so that Egel can eventually forego a classical chapter à la 'author and works'. The second chapter takes into consideration Pico's Oratio de hominis dignitate as both a preface and a supplement to the 900 theses. Since the two texts are usually examined as separate from each other in current scholarship, Egel deserves special praise for understanding that their respective significance as to the promotion of the principle of humanitas only lies in their interrelation. The third chapter slightly redundantly retraces the context and aim of the Conclusiones as outlined in the first chapter, but at its heart, the reader finds a description of the theses' general structure—part 1: syncretic theses of authors from the dawn of mankind to Pico's own times; part 2: Pico's own theses—as well as an account of their organisation according to a complex mysticism of numbers, nations, historical chronology and the intentional coupling of contradictory theses. At this point, a more in-depth summary of the theses' content might have been useful, because as Egel's introduction stands, the actual substance of Pico's Conclusiones is not made sufficiently clear. The notes constitute the weakest part of Egel's edition. They are tagged in the German translation by superscript numbers, which comes in a bit unhandy when going into the text coming from the notes (in order to retrace a specific thesis, for instance). The notes are restricted to citing the sources mentioned in Pico's Conclusiones; sometimes, references to further reading are added. This mode of comment explains the relative shortness of the notes section (four pages or 111 notes) relating to a text covering almost 100 pages (or 900 theses). On the positive side, it is quite user-friendly for a student edition to have all the author's sources lined up and ready to be looked up, instead of having to sift through Aristotle or Thomas Aquinas on one's own. Moreover, the source-oriented approach also perfectly illustrates Pico's general philosophical and theological outlook, his reading and intertextual relations. On the negative side though, the focus narrowly on the sources leads to the notes' declining to elucidate content, which would have clarified the at times difficult text without exceeding the scope of a student edition. Just to give two vivid examples: In the Conclusiones secundum Porpyhrium XII.4, Pico deals with the origin of cause and effect alongside the genesis of man. Egel edits and translates as follows (pp. 50-51): "Omnis anima participans uulcanio intellectu seminatur in lunam"—"Jede Seele, die an dem vulkanischen Intellekt Anteil hat, wird im Mond besamt." In this sentence, it is indeed difficult to grasp what is meant by "uulcanio intellectu" and why "anima…seminatur in lunam". Similarly delicate is Conclusiones secundum propriam opinionem LXII.45 (pp. 140-141): "Sensus naturae quem ponunt Alchindus, Bacon, Guilielmus Parisiensis, et quidam alii, maxime autem omnes magi, nihil est aliud quam sensus uehiculi quem ponunt Platonici"—"Die sensuelle Natur, die Alkindi, Bacon, Wilhelm von Paris und einige andere—nämlich fast alle Magier—setzen, ist nichts anderes als der Sinn des Fahrzeugs, den die Platoniker annehmen." Even for experts of ancient philosophy and its reception it is not immediately apparent what Pico refers to with the phrases "sensus naturae" or "uehiculi…Platonici", let alone what the central view of the scholars mentioned was, when they lived and which context binds them together. Only in a couple of exceptional cases (i.e. 12 notes out of 111 in sum), is some short information on the content offered (e.g. note 11 explains the name "Metatron" with regard to the cabbalistic tradition; note 45 elaborates on the Greek Neoplatonist philosopher Syrianos). Yet all in all, the criteria for the selection of these rare content-related notes remain obscure, leaving the impression of random reading support. Both the bibliography and the index sufficiently cover the needs of a student edition despite two minor bibliographical shortcomings. While the index itemizes the names of the real and mythological/literary figures mentioned, the bibliography records the essential primary and secondary literature on Pico in a nutshell. For a more comprehensive list of secondary studies, Egel refers the reader to the extensive bibliography featured in Quaquarelli and Zanardini (2005).4 The inherent disadvantage of this practice, i.e. its first shortcoming, relates to the fact that the literature of roughly the last ten years remains completely disregarded. As to the primary literature cited by Egel, i.e. the second shortcoming, the most recent critical edition of Viellard (2017) is missing. In sum, Egel has produced a useful edition of Pico's Conclusiones that will appeal to those already acquainted with Pico as well as those who are not. Ultimately, Egel renders Pico attractive to a German non-specialist audience, enhancing the range of humanist texts from Italy within the German-speaking world. Of special merit is Egel's straightforward examination that is utterly free from the typical 'Renaissance romanticism' often displayed in many studies and editions of early Italian humanists. 1. Bohdan Kieszkowski, ed. Giovanni Pico della Mirandola: Conclusiones sive Theses DCCCC (Geneva: Droz. 1973); Albano Biondi, ed. Giovanni Pico della Mirandola: Conclusiones nongentae. Le novecento Tesi dell'anno 1486 (Florence: Olschki. 1995); Stephen A. Farmer, ed. Syncretism in the West: Pico's 900 Theses (1486): The Evolution of Traditional Religious and Philosophical Systems. With Text, Translation, and Commentary (Tempe, Arizona. 1998); Bertrand Schefer, ed. Jean Pic de la Mirandole: Neuf cents conclusions philosophiques, cabalistiques et théologiques (Paris: Allia. 2006); Delphine Viellard, ed. Pic de la Mirandole: Les 900 conclusions (Paris: Les Belles Lettres. 2017). 2. Norbert Baumgarten, August Buck, eds. Pico della Mirandola: Über die Würde des Menschen. Philosophische Bibliothek, 427 (Hamburg: Meiner. 1990). 3. Léon Dorez, Louis Thuasne, Pic de la Mirandole en France (1485-1488) (Paris: Leroux. 1897; reprint Geneva: Slatkine Reprints. 1976); Paul Richard Blum, 'Pico, Theology and the Church', in M.V. Dougherty, ed. Pico della Mirandola. New Essays (Cambridge: Cambridge University Press. 2008): 37-60. 4. Leonardo Quaquarelli, Zita Zanardini, Bibliografia delle edizioni e degli studi (Florence: Olschki. 2005). Bruno Jacobs, Wouter Franklin Merijn Henkelman, Matthew W. Stolper (ed. ), Die Verwaltung im Achämenidenreich – Imperiale Muster und Strukturen: Akten des 6. Internationalen Kolloquiums zum Thema "Vorderasien im Spannungsfeld klassischer und altorientalischer Überlieferungen" aus Anlass der 80-Jahr-Feier der Entdeckung des Festungsarchivs von Persepolis, Landgut Castelen bei Basel, 14.-17. Mai 2013. Classica et Orientalia, Band 17. Wiesbaden: Harrassowitz Verlag, 2017. Pp. lix, 888. ISBN 9783447107938. €128,00. Though occasional visitors from outside Persia/Iran already visited Persepolis from at least the early fourteenth century AD onwards, a variety of amateur digging only occurred at the site, in some cases on a large scale, throughout the nineteenth and early twentieth centuries. The first scientific excavations at Persepolis were carried out first by Ernst Herzfeld and, succeeding him, Erich Schmidt, both representing the Oriental Institute of the University of Chicago. They conducted excavations for eight seasons, beginning in 1930, and in their research included other nearby sites as well. Their work led to the first scientific publication on the site of Persepolis by Ernst E. Herzfeld, A New Inscription of Xerxes from Persepolis (Studies in Ancient Oriental Civilization, 5), Chicago: Oriental Institute, 1932. During these excavations, in March 1933 (eighty years ago, thus, in 2013), Herzfeld found two rooms filled up with clay tablets that were arranged in order, as in a library. In total, according to Herzfeld's estimation at the time, it amounted to an archive of some 30,000 or more tablets. This archive has since become known as the Persepolis Fortification Archive. In 1935, Iranian authorities loaned this archive to the Oriental Institute for further research: the archive subsequently arrived in Chicago in 1936. Studying the complex archive proved to be a long-lasting task. The first publication of part of the archive therefore only occurred in 1969: Richard T. Hallock, Persepolis Fortification Tablets (Oriental Institute Publications, 92), Chicago: Oriental Institute, 1969. In recent decades, a number of local archives and other primary sources for the history of the Achaemenid empire either have been made available for the first time or have received new treatment, or both. Foremost among these are further parts of the Persepolis Fortification Archive, but, e.g., also the correspondence between the satraps of Bactria and Egypt and their respective staffs has become available. Several elements that come to the fore in such documents are discussed by the contributors to this volume, which hosts in total eighteen contributions (thirteen of them in English, three in German, and two in French). Basically, there are, in my view, two elementary strands discernible in these contributions. The aim in the first strand is to try to analyze the events and transactions documented by these sources in terms of bureaucratic and administrative protocols and to interpret them within an empire-wide network. By doing so, it becomes apparent that recurring patterns reveal a system of administrative hierarchies and structures. Another approach presented in this volume confronts such primary sources as there are with information about Achaemenid imperial administration in classical (secondary) sources, the primary material serving both as a corrective and as an analytical tool. These complementary approaches both appear to lead to a similar assessment, viz. that the imperial administration was not characterized by rupture and ad hoc responses to crises, but rather by continuity and stability. Ultimately these long-term factors, sc. continuity and stability, were important — probably even vital —reasons for the unprecedented scope and endurance of this empire, which in the end lasted more than two centuries. In terms of the evolution of Achaemenid studies, the present volume is a logical sequel to P. Briant, W.F.M. Henkelman, and M.W. Stolper (eds. ), L'archive des Fortifications de Persépolis. État des questions et perspectives de recherches (Persika, 12), Paris: De Bocchard, 2009, the proceedings of a Paris colloquium held in 2006. Taking the proceedings of the Paris colloquium as a starting point, the 2013 conference at Basel underlines the range of advances made in the last decade in the field of Achaemenid studies, not least thanks to the Persepolis Fortification Archive Project that was inaugurated with that 2006 Paris colloquium. Notwithstanding that, the editors of this volume, rightly in my perception, observe that: "In the past decades, scholars have battled ill-founded but surprisingly persistent notions of the Achaemenid empire as a colossus on clay feet or as an entity that remained largely invisible outside its core territory, both in physical and institutional terms" (xi). Especially Pierre Briant demonstrated the high visibility of empire in numerous publications, therein notably recognizing "the repeated application and reproduction of central mechanisms and structures across the lands of the Great King …" (ibid.). Recognizing the value of this observation, the editors of the volume under scrutiny suggest that: "This direction of research is far from exhausted. It will only be strengthened and deepened by the new data pouring out of the Persepolis archives" (ibid.). As already hinted at above, apart from the Persepolis archives, also Greek and Roman sources (the central subject of the contributions by Sabine Müller and Kai Ruffing respectively; somewhat less prominently present in Christopher Tuplin's paper), Demotic (discussed by Damien Agut-Labordère), as well as other primary Achaemenid sources are analyzed in this volume, such as the Aramaic texts on leather and wood from Bactria or the correspondence, likewise in Aramaic, of the Persian satrap of Egypt (the so-called Aršāma-archive). All these sources have in common that they only can be made to speak to us about Achaemenid, empire-wide, administrative structures with great effort, if only because while all these corpora do indeed document, they generally do not explain or describe institutions, protocols, and structures. Moreover, among the major problems facing the researcher are both the geographical and the temporal distance between the various corpora, stemming from Bactria to Egypt and from early in the Achaemenid Era to the last years of it; such distance raises serious methodological issues. The editors: "The most critical of these [i.e. methodological issues] is whether we can actually identify overall systems and protocols, knowing that these inevitably evolved during the life of the empire and were adapted, wherever necessary, to local traditions and needs. Each researcher therefore seeks his way on the narrow path between over-emphasizing difference and change and over-estimating unity, coherence and continuity" (xv-xvii). It stands to reason to argue that the proven practice of travelling Persian élite and especially the mobile Persian court (already described in Herodotus' Histories) may well have had some unifying force: this is well argued by Wouter F. M. Henkelman in his lengthy contribution ('Imperial Signature and Imperial Paradigm: Achaemenid Administrative Structure and System Across and Beyond the Iranian Plateau', 45-256), the centerpiece of this volume and its most extensive contribution by far. Henkelman makes clear, among many other issues, that the Fortification Archive unequivocally demonstrates that local administrators were clearly aware of an overarching framework, in casu the imperial structure. It is shown, for example, by travel documents issued in far-away India or Egypt, which nevertheless proved to be effective at backwater way stations in Elam, merely because the local clerks were trained to recognize the names of the responsible satraps, the centers where they resided, and their seals. Such practices reveal the presence of a definite awareness of the imperial network, at several administrative levels. Simultaneously, this awareness served as a common and binding factor among the many sub-satrapal officials in the Achaemenid lands. Ultimately, it were these sub-satrapal officials who, day by day, made the empire and made it work, if only because they embodied the unity of the empire. Unity is also the main theme of Bruno Jacob's paper ('Kontinuität oder kontinuierlicher Wandel in der achämenidischen Reichsverwaltung? Eine Synopse von PFT, dahyāva-Listen und den Satrapienlisten der Alexanderhistoriographen', 3-44) and certainly—albeit in another form—that of Margarethe Folmer's contribution, connecting the geographical extremities of the Empire: 'Bactria and Egypt. Administration as Mirrored in the Aramaic Sources' (413-454). In various (Greek) literary and (Persian) epigraphic documents, as well as in the Persepolis Fortification Archive, lists reciting ethnonyms are present. Jacobs shows in his contribution that the order in such lists was not accidental but followed a clear pattern, predominantly indicating the special role played by distinct groups, probably as specialists "für bestimmte Arbeiten in der Alltagsrealität der Verwaltung in Persepolis und vermutlich anderen Residenzen" (25). One of the consequences of this more or less fixed pattern is that the so-called Bīsutūn-list (of King Darius I) is nearly completely (at least as far as possible) recognizable in a list of provinces made after the demise of Alexander the Great (cf. 35, table 6), showing above all the importance of the continuity of imperial as well as administrative structures. In her contribution, Margarethe Folmer provides a meticulous analysis of the formal epistolary and diplomatic conventions which we find both in the Aršāma correspondence as well as in letters in the Aramaic Bactrian corpus. Even though there appear to occur many differences of detail, there is simultaneously some [my emphasis] broad general agreement between the corpora that ultimately presents "the image of a well-organized system of chancelleries working to produce official documents in a uniform way across the empire" (442). Annalisa Azzoni pays attention to the Empire's unity in her article 'The Empire as Visible in the Aramaic Documents from Persepolis' as well (455-468, the briefest article of the collection). Focusing on texts that refer either to the king or to one Parnakka (Pharnaces), she points out in her paper that these Fortification tablets in Aramaic, despite the surprises they contain (the image evoked by the succinct entry on the king's barber from Kandahar, referred to in PFAT 056, for example), are difficult to position into the larger whole of the Fortification Tablets. This leads her to believe that these texts "do not seem to be intended to stand as full, independent records" (462). At the same time, these tablets, as they are, underline the need she observes that much more should be done, if only in terms of philological work. Although I have in this review, owing to pressures of space, paid attention to only a few of the contributions, a distinct picture can be seen to emerge. To put matters more concretely, we seem to be slowly arriving at a situation where we can recognize that various documentary sources, from different times and places and in different languages and formats, refer to the same imperial phenomena. What all these sources thereby express, in varying degrees of clarity, is that the Achaemenid Empire showed throughout its existence a distinct cohesion, if only because some relatively fixed protocols and/or practices were observed everywhere throughout the empire and at all times. One might even argue that the success of Alexander III the Great, who effectively ended the Achaemenid Empire, was in part enabled by this pre-existing imperial structure. The entirety of this picture appears to me to be underlined in the contribution by Pierre Briant ('De Samarkand à Sardes via Persépolis dans les traces des Grands Rois et d'Alexandre'), the concluding remarks to this volume (827-855): he outlines both (methodological) problems as well as the rewards awaiting researchers of these multifaceted materials and as such excellently counterpoints the editors' preface. Even if the contributions make clear that there still is a long way to go to unravel all threads that made up the Achaemenid Empire, I found this nevertheless generally a comforting volume, if only because it not merely makes clear how much has been achieved in the last decade(s), but also because it suggests clear directions to be pursued in (already current and) future research. As usual for volumes in this series and by this publisher, the volume has been well taken care of. The number of typos is limited; drawings and photographs are apt. As yet, however, I found one aspect disappointing: the subject of the volume is clearly delineated (Achaemenid administration) and the emerging conclusion is that throughout the empire's history unifying elements prevail in the administration. Why, then, not underline the theme by a communal bibliography instead of separate bibliographies concluding all contributions? Admitting that it would have been a massive task, I believe it implicitly also would have strengthened this volume's message. Nevertheless, the editors (and contributors) are to be congratulated with this volume. Emily Wilson, Homer. The Odyssey. New York: W. W. Norton, 2018. Pp. 582. ISBN 9780393089059. $39.95. Emily Wilson's Odyssey is a delight to read. The style is limpid, the iambic pentameter rhythm appealing, and the narrative is fast-paced and enchanting. The introductory material and notes are excellent. Every discussion of Emily Wilson's Odyssey is prefaced with the fact that hers is the first English translation of the poem by a woman, but it's worth noting that Caroline Alexander's Iliad (Ecco 2015) was also published three years ago as the first English translation by a woman to much less hoopla (to say nothing of Sarah Ruden's Aeneid, Yale University Press 2009). Whether due to the translators' different personalities, the publishers' different marketing styles, or the growing interest in women's voices in the #metoo era, suddenly Emily Wilson and her Odyssey are everywhere: The New York Times Magazine, the New Yorker, and, last but not least, Twitter. This is a good thing and we can only wish that all new translations of ancient works were greeted with such interest. by her husband and her son than she had been before. A notion to show herself to the suitors. In the eyes of her son, and of her husband. and so her son and husband would respect her. Wilson's version is the most succinct of the three, matching the original line per line (the same number of lines as Fagles in this case, but her lines are shorter). Wilson is less literal than the other two: she adds "a new idea," omits "Icarius' daughter," turns the passive τιμήεσσα γένοιτο into the active "so her son and husband would respect her," includes the Greek οὔ τι πάρος γε in the formulation "I have a new desire," and makes the passive ἀπεχθομένοισί περ ἔμπης into the active "though I hate them." Wilson avoids the awkward piling up of adjectives and verbs in Fagles. All three translators add an addressee in line 163, and Fagles and Lombardo both resort to euphemisms for slave. Wilson alone of the three conveys the metaphorical register of πετάννυμι, which has to do with opening up, with her striking image of desire opening "like a sail." She also has the best translation of ἀχρεῖος, a difficult adjective discussed at length by scholars who do not know what to do with it, as "mysterious." This short example gives a good sense of Wilson's skill: her syntax strays from the Greek more than that of her competitors, but she conveys the sense better. Of the three versions, Wilson's is also the most vivid: it flows, it sounds like real language, and one wants to keep on reading. I loved reading Wilson's translation, but that is not to say that I find all Wilson's decisions equally felicitous. Because Wilson has discussed many of her choices on Twitter and in interviews, hers is also a translation that invites dialogue about translation. As a result, my comments below are as much a response to Wilson's writing about her own translation as a direct response to the work. That is not a bad thing: Wilson's ubiquity in the media reminds us that we are dealing with one person's version of the Odyssey. My reservations fall into two categories. First, there are occasional false notes in word choices, which may seem like nitpicking when dealing with a poem of some 12,000 lines that are for the most part delightfully rendered. But all word choices are important, and are also connected to a second issue, what seems a missed opportunity in terms of the translation's overall effect. Translation is always an act of interpretation, as Wilson often reminds us, and the very forcefulness of her interpretation threatens to obscure an important aspect of a poem that is itself very much concerned with ambiguity and issues of understanding. Two choices in particular interrupted the poem's flow for me. The first one is the translation of εἴδατα as "canapés" at 4.55. My reaction may be muddled because my native language is French and it registered in my mind as both a French word and a certain kind of object. Was I overreacting because the word has a more specialized meaning in French than in English, where it apparently can refer to any finger food? I had to look it up because in my thirty-three years living in the United States I had never heard or seen the word. It turns out that this is "the most controversial word choice" in the translation, and Wilson discusses it at some length in a Twitter post where she also announces that she will keep it for the paperback edition, mustering two arguments for its inclusion: Homeric Greek is a stylized language made up of a mix of dialects from different ages and so the translation has to include "a few unexpected moments;" and it is not "the translator's or writer's duty never to take anyone out of her comfort zone, or shake up linguistic or cultural prejudices" (here). Wilson defends her choice forcefully, but it is not the word's unexpectedness that I found jarring, but rather the surprise at finding a food connected with French aristocracy and Viennese cafes carried by a "humble slave girl" in Menelaus' palace. And while I'm all for a writer or translator shaking up linguistic or cultural prejudices, what exactly are the "linguistic or cultural prejudices" involved in being skeptical that canapés is the best translation for εἴδατα? The word "mavericks" describing the Cyclopes in Book 9.108 similarly left me scratching my head. Like canapés, it has a kind of cuteness—and unexpectedness, to be sure—but it also comes with its own history that goes against the meaning of the straightforward Greek word ἀθέμιστος. Wilson explains in her introduction that she could not describe the Cyclopes as "savage" because she wants to avoid words "which carry with them the legacy of early modern and modern forms of colonialism—a legacy that is, of course, anachronistic in the world of The Odyssey" (88). But the notion of a maverick is deeply tied to a nostalgic view of the Western frontier as a place where independently- minded characters—or their unbranded cattle—define themselves against the rules they scorn, and the word sticks out on Polyphemos' island, one of whose distinctive features is that it has no laws at all. The problem with canapés and mavericks is not their unexpectedness as words; it is that they awkwardly anchor the text in our time and place and evoke images (caterers' trays and Republican senators) that break the spell of Wilson's narrative (in the same way that Lombardo's "shock and awe" sits uneasily on the shield of Aeneas). There is thus a tension between Wilson's desire to avoid imposing anachronistic values on the world of the Odyssey, and her choice of using unexpected idioms as a way of replicating the effect of Homeric Greek. But my bafflement at "canapés" and "mavericks" also arises out of my admiration of the poem as a whole. When Wilson succeeds, which is most of the time, the effect is wonderful. The startling "ossifrage" used to describe Athena's transformation into a sea bird (φήνη) at 3.372 is perfect in that context, echoing the astonishment that seizes all who see it. There are many such moments of brilliance. And Wilson also excels at using straightforward idioms to great effect. Her solution to the notoriously difficult-to-translate formula (χειρὶ παχείῃ, 21.6) gives Penelope a "muscular, firm hand" (more striking than Lattimore's "solid" or Fagles' "steady" hand; Lombardo avoids the problem by not mentioning Penelope's hand at all). This brings me to the episode often discussed by Wilson, the killing of the slaves in Odyssey 22. Wilson has put gender at the center of her interpretation of the poem, arguing that she avoids falling into the misogynistic traps that ensnared earlier male translators, who were unwilling or unable to showcase Odysseus' ambiguous traits or to check their own disdain of female characters, in particular the female slaves slaughtered by Telemachus. She thus presents herself as a different kind of translator, one who not only engages with the Greek text, but who also corrects the misconceptions and prejudices of her predecessors, and she often presents her choices in moral terms: "in my version of the hanging of the slave women, I aim to invite genuine empathy rather than an objectifying thrill; while other translators call their death "piteous" or "pitiful," in my version we glimpse their pain, not the feeling of a spectator: it is "an agony" (86). Wilson translates ὅπως οἴκτιστα θάνοιεν (literally "so they would die in the most pitiful way," 22.473) with "to make their death an agony." Wilson implies that other translators objectified the women with their word choices, but the superlative adverb οἴκτιστα does mean "most pitifully." The word is used just a few times in the poem, always to describe deaths that are horrifying. This is how Agamemnon describes his own murder (ὣς θάνον οἰκτίστῳ θανάτῳ 11.413; repeated by Achilles describing Agamemnon's death at 24.35), and Odysseus remembers watching his men being grabbed by Scylla as "the most pitiful thing" his eyes ever looked on 12.258-9. Wilson captures that moment beautifully with "the most heartrending sight I saw / in all the time I suffered on the sea" (Eurylochus also describes death by starvation as "most pitiful" at 12.343, while Eurykleia invites Penelope to kill her with a "most pitiful" death at 23.80). After reading Wilson's eloquent case for naming slaves slaves, I was also surprised to see the word "girls" repeated seven times in the space of thirty-five lines or so where the Greek text describes them as women (γυναῖκες) twice and slaves (δμῳαί) three times. Is "girls" also meant to make the women more sympathetic by emphasizing their youth? Wilson captures the "agony" of the killing of the slaves, but in the process she loses the thread that connects the deaths of the women to those of Odysseus' men and Agamemnon, a series of deaths that invite questions about those responsible for them and the role of pity in what is often a pitiless poem. Many have commented on Wilson's now well-known move to translate the epithet πολύτροπος in the first line of the poem with the adjective "complicated." Like "lord of lies" for πολύμητις, Odysseus' other common epithet, "complicated" zooms in on the potentially negative aspect of the word. This is useful in accentuating the hero's ambiguity, something that is deeply imbedded in the Greek language, and so crucial to the proem. But there is also a danger in losing that very ambiguity: the cleverly alliterative "lord of lies" works well at the beginning of Odyssey 9, reminding us of Odysseus' skill at deceiving just before Odysseus starts recounting his adventures, but metis cannot be equated only with skill at lying: like polytropos, polymetis implies a kind of complexity that contains both negative and positive elements. Wilson brings out the potentially negative aspects of these epithets (and the hero), but in so doing, she also does some of the interpretative work that the original—along with some translations—lets its audience do for themselves. Similarly, Wilson's avoidance of repetitions makes the narrative sound more modern and flow more smoothly, but also alters the relationship between the poem and its readers. The Odyssey often plays with repetition and formulaic elements to point out the difficulty of interpreting words and stories. The poem also delights in the notion of signs (σήματα) and the necessity of interpreting them: it often does not tell its audience what to think or how to feel but requires them to make sense of its mysteries for themselves. Wilson hopes that the Homeric poem grows "inside" her translation "like Athena's olive tree inside the bed made by Odysseus, "with delicate long leaves, full-grown and green, / as sturdy as a pillar"" (87). She imposes her own reading of the poem so forcefully that her Odyssey ends up being sturdier than the original: a bit less open-ended, less polytropic, less complicated…. Yet it is also an amazing achievement, a thrill to read, and the best English translation. Hers is the Odyssey my students will read from now on. It is a brisk, lively, often magical, version of the ancient epic that captures its enduring appeal and urgency. D.M. Hutchinson, Plotinus on Consciousness. Cambridge: Cambridge University Press, 2018. Pp. viii, 209. ISBN 9781108424769. £75,00. As the author notes at the beginning of this impressive monograph, the flourishing field of consciousness studies today rarely seeks for historical foundations prior to Descartes. In fact, those working in ancient philosophy, in particular in its later phases, have known for a long time that Plotinus has an extensive and complex theory of consciousness that overlaps with contemporary interests, but also goes well beyond these. This is the case for virtually every topic treated in the Enneads where psychological phenomena and capacities especially are always situated within a systematic metaphysical framework. Hutchinson faces squarely the challenge that the single word "consciousness" as it is used today is not adequate for translating the Plotinian tetrad of concepts: antilêpsis, parakolouthêsis, sunaisthêsis, and sunesis. According to Hutchinson, these four terms refer to different "modes" of consciousness, corresponding to different levels within Plotinus' hierarchical metaphysics. He translates them as "apprehension," "self-consciousness," "self-awareness," and "awareness" (44). The book is mainly devoted to exploring their subtle differences. One can certainly appreciate the difficulty Hutchinson is confronted with in articulating these differences and relating to what the informed contemporary reader would understand by "consciousness." His point, however, in trying to distinguish Plotinus' uses of these terms is a sound one. In a Plotinian universe, the soul in relation to the body, the intellect in relation to the soul, and the One, the first principle of all, in relation to all of these reflect gradations of being and life and accordingly different ways of interacting with the intelligible and sensible worlds. In relation to the theory exposed in this book, Cartesian dualism of mind and body is a modest, deracinated flower, cut off from ancient Greek philosophy by more than a thousand years of mostly diffident attention. Hutchinson's thesis is that Plotinus' theory "involves multiple layers of experience; different layers of consciousness occur in different levels of self" (2). The first layer is the physical or embodied self, the subject of affective states (pathê). The second layer is the "dianoetic" self, that is, the subject of embodied higher cognition, especially imagination and discursive reasoning. The third layer belongs to the "noetic" self, the subject of contemplation of the intelligible world. The central chapters of this book (Chapters 3-5) address these three layers of consciousness. They are preceded by chapters on philosophical issues surrounding the concept of self and philological issues relating to Plotinus' vocabulary. They are followed by a final chapter on self-determination as this relates to human action. There is an appendix on the history of the four terms used by Plotinus to articulate his theory. The first layer (Chapter 3) is found in the subject of embodied psychical states, that is, states that require a body. The subject of these states, and his consciousness, is the unifying principle of the organic life of the individual. The self- awareness of the subject of bodily states, whether a human being or an animal, governs the dynamic continuity of the living being. As Hutchinson shows, the important and distinctive claim that Plotinus is making is that there is a "soul-trace" animating the body that is a "part" of the soul of the cosmos. This soul trace is, basically, what differentiates a living being from a dead one. It includes both anatomy and physiology. The consciousness at the first level, including proprioperception, belongs to the lowest party of the soul in relation to the states of the composite body plus soul-trace. So, this consciousness or awareness, belonging to soul, is non-physical or material; it has the physical living being as intentional object, but it is itself immaterial. Its self-awareness is not possible for a being that has material or extended parts. No survey or analysis of these parts could ever yield the subjectivity of bodily self-awareness. The second layer (Chapter 4) is the consciousness involved in imagination and discursive thinking. Hutchinson is here not clear enough about how imagination differs in living beings that can and cannot engage in higher cognition. Plotinus, I think, follows Aristotle in labeling our imagination as logikê or "rational," which is distinct from the non-rational imagination of animals. Hutchinson says that the imagination does three things: (1) provides the soul with apprehension of affective states of the qualified body like pleasure and pain and desire; (2) provides the soul with apprehension of its intentional activities, including sense-perceptions, acts of reasoning, and thoughts; (3) provides the soul with apprehension of the activity of separate Intellect. (1) does occur in animals, though (2) and (3) do not. Only in human beings is there cognition of affective states requiring conceptualization or thinking. The difference is found in how the soul —depending on the kind of soul it is—cognizes perceptual images. Thus, an animal is aware of its pain, but it does not cognize it as a pain. The type of consciousness present in thinking about the painful state one is in makes possible acts of reasoning, especially in action. So, the soul of a human being, cognizing the pain of the qualified body, does not itself feel the pain. As much as Plotinus disdains Stoic materialism, including the inability of Stoicism to account for consciousness of a localized pain, it is difficult to avoid seeing in his doctrine, and in Hutchinson's exceptionally clear account of it, a Stoic influence. Since the "lower soul," the soul as governing the qualified body, cannot be the subject of affective states, Plotinus concludes that it is "impassible," or incapable of being affected by its relation to the body. This claim is both a key to his account of moral improvement and decay and also a problem for his account of personal blame and punishment. If the soul is unaffected, how can it ever suffer for its wrongdoing, except perhaps by reincarnation? Owing to the distinction of the affective state of the qualified body from the cognitive consciousness of that state, Hutchinson argues that the soul cannot be incorrigibly aware of the states that the qualified body is in. I do not believe, however, that there is any other type of awareness for Plotinus except incorrigible awareness. Hutchinson needs a sharper distinction than he is prepared to make between incorrigibility and infallibility. The latter is the absolute impossibility of error and Hutchinson is correct in attributing this to Intellect and our "undescended" intellects. But this does not preclude our being incorrigible with respect to the awareness or consciousness of bodily states since there is no basis whatsoever for correcting a temporalized awareness when it is in the past. The remainder of Chapter 4 includes some good discussion of a number of complex issues, including memory, imagination, and the consciousness of the higher embodied soul of the eternal truths contained in separated Intellect and in its own undescended intellect. Plotinus says that intelligible reality is imaged in us like "laws" written in our soul and reflected in our imaginations like a mirror. Since at the level of Intellect, thinker and objects of thought are cognitively identical, when we apprehend eternal truths (or even the eternal truths that make possible the cognition of contingent truths), we apprehend them in images as "spread out." These are then expressible, say, in predicative judgments. Here, we are apprehending or are conscious of not the intelligible themselves, but their logoi or expressions at the human level. These facts about the second level of consciousness lead Plotinus to posit two sorts of imagination, one derived from sense-perception and one derived from the deliverances of our separated intellects. The third layer of consciousness (Chapter 5) occurs in the separated intellect. As Hutchinson argues, it is somewhat misleading to talk about "separation" without qualification. For Plotinus insists that the hypostases Soul, Intellect, and even the One "are in us." Our path to accessing noetic consciousness is, therefore, not so much a "trans-world" journey, as it is a matter of eliminating the impediments of embodiment. Plotinus' metaphor of the sculptor removing all that surrounds the final product is most apt here. Since, while embodied, impediments are not completely removable, we can, as Hutchinson shows, have a perspective or point of view in relation to the intelligible world. These perspectives, it would seem, do not amount to the relativization of truth, but rather to a gradation of our possession of it in terms of clarity. This seems exactly right and reflects the commonplace that, for example, a professional mathematician has a clearer and more comprehensive grasp of mathematical being than do the rest of us. The awareness in Intellect and in our undescended intellects is essentially self-reflexive. That is, the consciousness here is not a second-order awareness of awareness. Rather, noetic consciousness is just the epistemological side of the identity of being and thinking at the level of Intellect. This consciousness is not an awareness of a private inner world but of objective reality, as much as it is in absolute idealism. I am not so sure that the perspectivalism Hutchinson finds in the higher cognition of human beings is also present in our undescended intellects, which after all do not employ images of any sort. But I do not know of a better solution to the problem of how one undescended intellect differs from another. Chapter 6, "Self-Determination," focuses on the dynamics of embodied consciousness, including desire, action, and moral development. I do not find this chapter as clear and as accurate in its account of Plotinus' thought as the previous ones. The main difficulty I have is with the author's assumption that Plotinus thinks that there is non-rationality in the soul alongside rationality and that the human drama of embodied life is found in how we react to or submit to the non-rational parts of our soul. I think such an interpretation does not distinguish between a non-normative and a normative meaning of "rationality" in Plotinus. Hutchinson does recognize the latter in Plotinus' idea of "right reason," but he does not follow out the implication of there being "wrong reason." Because we are human beings, "rational" names the kind of soul we have. At the same time, there is an ideal rationality that, as Hutchinson notes, is to be located in the intelligible world. Human life is situated between rational embodied living and the ideal on one side and its polar opposite on the other, the non-being and utter unintelligibility of matter. Acting contrary to the ideal is not acting contrary to reason in the non-normative sense, but in the normative sense. Plotinus, following Plato, does hold that all wrongdoing is unwilling, but this does not mean that wrongdoing is non-rational or irrational, except in the normative sense. The point is of some importance because Plotinus thinks the central benefit and goal of philosophy is to separate one's true self from the temporary self that is the subject of embodied psychical states and even dianoetic thinking. This is overall a very good book, and though Hutchinson makes considerable efforts to situate the discussion of some rather technical issues within the overall framework of Plato's metaphysics, this is probably not a book to be recommended to someone who is a Plotinus-novice. It is, however, a book that ought to be recognized as an important contribution to the historical background of contemporary consciousness studies. Judith Hagen, Die Tränen der Mächtigen und die Macht der Tränen. Eine emotionsgeschichtliche Untersuchung des Weinens in der kaiserzeitlichen Historiographie. Altertumswissenschaftliches Kolloquium 25. Stuttgart: Franz Steiner, 2017. Pp. 356. ISBN 9783515118521. €59.00. Mit der Publikation ihrer 2016 an der Universität Bayreuth abgeschlossenen Dissertation schließt Judith Hagen an eine Diskussion an, die in den letzten Jahren immer intensiver in den Altertumswissenschaften geführt wurde: die Rolle der Emotionen in der Antike und die zahlreichen methodischen Hürden bei ihrer Untersuchung.1 Dabei nimmt sie eine scheinbar unauffällige Eigenart antiker Texte zum Ausgangspunkt ihrer Untersuchung, indem sie sich der Allgegenwart von Tränen und Weinen in der Historiographie der römischen Kaiserzeit widmet. Tatsächlich dürften alle Altertumsforscher wiederholt auf tränenreiche Szenen gestoßen sein, was eine umfassende Studie mehr als rechtfertigt. Gegliedert ist die Studie in drei unterschiedlich umfangreiche Kapitel. Nach einer prägnanten Einleitung (S. 12) fasst Hagen im ersten Teil der Arbeit (S. 14-66) zunächst die emotionshistorischen Ansätze verschiedener Disziplinen zusammen, die neben der Trias aus Alter Geschichte, Klassischer Philologie und Archäologie auch Philosophie, Patristik, Mediävistik, Psychologie und Anthropologie umfassen. Dabei geht sie nicht nur gezielt auf Vor- und Nachteile einzelner Modelle ein, sondern weiß auch ihre eigene Position pointiert anzubringen. Hier kann Hagen aufgrund der breit angelegten Thematik verständlicherweise nur selektive Einblicke in die Forschung anbieten. Jedoch wäre interessant zu wissen, nach welchen Kriterien ihre Auswahl erfolgte. Vor dem Hintergrund der theoretischen Überlegungen an dieser Stelle vermisst man konzeptionelle Äußerungen zu mehrfach verwendeten Begrifflichkeiten wie „Emotion", „Performanz" oder auch „Ritual", wie sie erst sehr viel später oder gar nicht zu finden sind (zum Ritual etwa erst auf S. 272-273). Insgesamt gibt Hagen einem gemäßigten Konstruktivismus gegenüber einem Universalismus, der die Unveränderlichkeit von Emotionen über Jahrhunderte postuliert, den Vorzug. Demnach ist es kein Zufall, dass heutige Leser durchaus Empfindungen wie Trauer in antiken Texten identifizieren könnten, aber immer wieder von deren Auftreten und Ausdrucksformen irritiert seien, weil sich sowohl Signifikant als auch Signifikat der Zeichen für bestimmte Emotionen durch gesellschaftlichen und kulturellen Wandel verschoben haben. Wenn etwa vom luctus die Rede ist, so deckt sich die römische Vorstellung von Trauer weder im Empfinden noch im Ausdruck der Emotion vollständig mit postmodernen Vorstellungen; so ist der autoaggressive planctus als Teil der Trauer in den westlichen Industriekulturen mit wenigen Ausnahmen aus der öffentlichen Wahrnehmung verschwunden, während er in der Antike genau dorthin gehörte. Darüber hinaus finden am Ende des Kapitels problemorientierte Fragen ihren Platz, wenn Hagen zum Beispiel dem Zusammenhang von Historizität und Authentizität oder von Tränen und Weinen nachgeht. Besonders wichtig ist dabei Hagens Hinweis, dass Emotionen nur gebrochen im Lichte der Texte auf uns kommen. Ein unmittelbarer Zugang zu den Gefühlen und Vorstellungen historischer Akteure sei nicht möglich. Die Untersuchung ist also konsequenterweise an die Textoberfläche gebunden. Umso komplexer wird der Gegenstand, wenn die Emotionen nur aus Handlungen, Verhaltensweisen und Gesten erschlossen werden; dann liegt sogar eine doppelte Brechung vor, die Hagen nicht vollends berücksichtigt. Das zweite Kapitel (S. 67-319) der Untersuchung, das den Hauptteil des Buches bildet, liefert eine Vielzahl scharfsinniger Einzelbeobachtungen. Nach ersten Überlegungen zur Bedeutung von Tränen in den zentralen Schriften der römischen Redner (S. 67-74) widmet Hagen sich konsequenterweise zunächst den Schauplätzen des Weinens (S. 74-109), denn Rhetorik war vor allem im Gericht gefragt, aber auch in der Kurie, der contio, bei den ludi, zuweilen auch in der domus und später in der Kirche. Im nächsten Punkt interessiert sich Hagen für die Akteure, die weinten, und für deren Publikum. Hier geht es vornehmlich um militärische Settings (S. 109-136)—etwa wenn Feldherren oder Kaiser vor ihren Soldaten weinen oder umgekehrt: die Legionäre weinen, manchmal sogar vor Freude oder Erleichterung, was die Bandbreite der Tränen auslösenden Emotionen anschneidet. Doch auch genuin politische Zusammenhänge kommen nicht zu kurz. So räumt Hagen Tränen bei der recusatio imperii und vergleichbaren Phänomenen wie der Verweigerung von Ehren oder Machtverzicht viel Platz ein (S. 138-163) und ordnet damit ihren Gegenstand auch in die politische Kultur der späten Republik und römischen Kaiserzeit ein. Die Rolle von genderspezifischen Tränen und die Frage danach, ob Frauen mehr zum Weinen neigten bzw. ihre Tränen anders bewertet worden sind als die ihrer männlichen Pendants, untersucht die Autorin im folgenden Unterpunkt des Hauptteils (S. 164-194). Nicht überraschend gibt Weinen Auskunft über Tugenden und Untugenden von Frauen im Kreise der römischen Oberschicht, doch Hagen zeigt ein feines Gespür für die Nuancen antiker Tränen im Allgemeinen und weiblicher im Speziellen, die nicht per se gut oder schlecht sind. Der vierte Punkt des zweiten Kapitels nimmt die Anlässe und Kontexte des Weinens in den Blick (S. 194-273). Besonders hier geraten Emotionen—vornehmlich Trauer um Feldherren, Politiker, Kaiser und deren Verwandte—als Motiv für das Vergießen von Tränen in den Fokus; denn Weinen selbst stellt kein Gefühl dar, sondern ist nur dessen sichtbarer Ausdruck und kann auf zahlreiche emotionale Dispositionen zurückgeführt werden, wie Hagen immer wieder unterstreicht. Besonders spannend sind die Passagen zu „geheuchelten" (S. 202-204) und „verbotenen" Tränen (S. 233-235), die nicht nur ein Panorama kaiserzeitlicher Historiographie zeichnen, sondern zudem das Klima der Angst und Denunziationen einfangen, das insbesondere Tacitus für die frühe Kaiserzeit herausarbeitet. Erhellend sind auch die Erläuterungen zu den verweigerten Tränen der Philosophen von Sokrates als Vorbild bis Julian. Besonders im Kontext des Weinens bei religiösen Anlässen spielt das Christentum in den von Hagen herangezogenen Materialien eine bedeutende Rolle (S. 260-271), während Tränen für pagane Götter in den Hintergrund treten. Das letzte Kapitel des Hauptteils ist eines der stärksten der Untersuchung und stellt Tränen in einen Zusammenhang mit Charakterzeichnungen historischer Persönlichkeiten. Herrschertugenden wie clementia, pietas und misericordia, so zeigt Hagen überzeugend, schlugen sich häufig im Vergießen von Tränen für Verwandte, Gegner und ganze Städte oder Reiche, die besiegt bzw. von einer Katastrophe heimgesucht worden sind, nieder. Umgekehrt können Tränen auch Aufschluss über Charakterschwächen der beschriebenen Figuren geben—seien es Ängstlichkeit, Feigheit oder Heuchelei. Besonders in diesem Teil der Arbeit wird das Zusammenspiel von Faktizität und Fiktionalität beachtet, während diese sonst gelegentlich vermengt werden. Die besprochenen Akteure samt ihren Eigenschaften erscheinen in der Analyse als das, was sie sind: vor allem als literarisch ausgestaltete Charaktere, die freilich nur überzeugen, wenn ihre Eigenarten mit der Realität kompatibel sind. Die kurze Zusammenfassung stellt die Sammlung all dieser Teilergebnisse dar (S. 320-327). Abgerundet wird der Band durch ein Personen- und Stellenregister. Ein Sachindex zu lose über die Studie verstreuten Institutionen (laudatio funebris, adoratio, Proskynese etc.) und Konzepten (Gefühl, Diskurs oder Kommunikation) wäre hilfreich gewesen. Insgesamt erstellt Hagen eine feingliedrige Taxonomie des Weinens aus ihren Texten. Ausgehend von ihren Materialien entwickelt sie ein Gespür für die „feinen Unterschiede" (P. Bourdieu) des Weinens in der römischen Kaiserzeit und wann Tränen als angemessen, übermäßig oder gar überflüssig angesehen wurden. Denn die Intensität des Weinens konnte stark variieren und sowohl von Anwesenden als auch Lesern eines Berichts als ebenso angebracht wie deplatziert empfunden werden, da Tränen, so Hagens Hauptthese, an Ritualisierungen zurückgekoppelt waren. Kontext und Situation sowie Hierarchien und Erwartungshaltungen galt es für die historischen Akteure und antiken Autoren sorgfältig abzuwägen, um ihr jeweiliges Publikum zu überzeugen und nicht zu verstimmen; daher konnten Tränen auch vollständig unterdrückt werden. Dass Hagen jede Szene einzeln bewertet und keine generalisierenden Behauptungen aufstellt, ist lobend herauszustellen. Dabei beeindruckt die Fülle an Quellen ebenso wie das philologische Geschick, mit dem sie Autoren von der späten Republik bis in das frühe Mittelalter bespricht. Genau diese Bandbreite von Texten birgt aber auch ein ganz zentrales Problem der Studie; denn die Menge an herangezogenen Quellen hat zum einen zur Folge, dass einzelne Forschungsdebatten zuweilen auf der Strecke bleiben. So kommt beispielsweise die reichhaltige Forschung zur Grabrede des M. Antonius auf C. Julius Caesar kaum zu Wort (vgl. S. 92). Zum anderen überrascht das ausgewählte Textcorpus grundsätzlich, denn anders als der Untertitel des Buches suggeriert, beschränkt sich Hagen nicht auf die kaiserzeitliche Historiographie. Etwas knapp plädiert sie für den Einbezug von Lucan, Caesars Commentarii und der antiken Biographie, repräsentiert durch Autoren wie Plutarch und Sueton. Zwar enthalten jene Schriften durchaus Informationen, die sowohl von antiker als auch moderner Geschichtsschreibung genutzt werden, und in der Tat verfolgen—vielleicht mit Ausnahme der Commentarii—alle den Zweck, ihre Leser zu unterhalten oder den Urheber der Schrift in Szene zu setzen, doch ändert das nichts am jeweiligen Genre und dessen eigenen narrativen Gesetzmäßigkeiten, die Hagen herunterzuspielen versucht (S. 65-66). Entsprechend kurz kommt auch die narratologische Einordung der Tränen in die Gesamtkomposition eines jeden analysierten Werkes. Darüber hinaus werden im Verlauf der Arbeit auch Gattungen wie Briefe (S. 261-263) und Panegyrik (S. 288-290) auf einer Ebene mit der Geschichtsschreibung behandelt. Tatsächlich ist das Quellencorpus kein historiographisches, sondern an Politik und Gesellschaft interessierte Literatur. Als ebenso auffällig erweist sich die zeitliche Spanne der herangezogenen Werke. So ist die Datierung von Caesars 'Commentarii', die ohnehin nur bedingt unter die Kategorie der Historiographie fallen, in die Kaiserzeit fraglich. Am anderen Ende der Skala steht die Betrachtung von Einhards Vita Karoli, was ein sehr breites Verständnis von „römischer Kaiserzeit" voraussetzt und erklärungsbedürftig ist.2 Auch wenn angesichts der verfolgten Thematik die systematische anstelle einer chronologischen Anordnung deutliche Vorzüge aufweist, führt das Nebeneinander von Berichten zu Republik und Mittelalter einerseits zu irritierenden Leseeindrücken—etwa wenn auf eine Besprechung des Marcus Antonius bei Plutarch unmittelbar die Geschichte des oströmischen Feldherrn Philippikos aus dem Jahr 585 n. Chr. folgt (S. 111). Andererseits mündet gerade diese Parallelität zeitlich—und mitunter auch kulturell—ganz unterschiedlich angesiedelter Schriften in ein Fazit, dass die Kontinuität des literarischen und praktischen Auftretens von Tränen über eine Zeit von 600 Jahre postuliert (S. 324). Wenn aber Weinen Spiegel eines Charakters und Kaleidoskop in eine politische Kultur ist, wie Hagen zurecht behauptet, dann wäre die logische Schlussfolgerung, auch anzunehmen, dass der Mensch sich in einer zunehmend strukturell ausdifferenzierenden Gesellschaft ebenso wenig veränderte, wie sich die Regeln des politischen Miteinanders wandelten. Diese Konsequenz ist mindestens als gewagt zu bewerten und so vielleicht gar nicht beabsichtigt. Sie widerspricht dem konstruktivistischen Ansatz der Arbeit, der am Ende keine explizite Relativierung erfährt. Hagens Studie zeigt, dass die Bedeutung von Gefühlen bei der Untersuchung von griechisch-römischer Geschichte und klassischen Texten nicht außer Acht gelassen werden darf. Die erhobenen Einwände verweisen aber auch darauf, dass das fruchtbare Feld der Emotionsgeschichte trotz einer zunehmenden Zahl von Veröffentlichungen noch längst nicht vollständig bestellt ist. 1. Vgl. zuletzt die Tagung „Pathos und Polis: Einsatz und Wirkung affektiver Elemente in der griechischen Welt" an der Freien Universität Berlin [Pathos-und-Polis-Flyer], Stand: 06.08.2018; zudem vor allem Thorsten Fögen (ed. 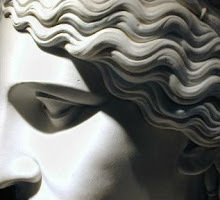 ), Tears in the Graeco-Roman World, (Berlin; New York 2009). 2. Erstaunlich ist in diesem Zusammenhang auch, dass Titus Livius nur eine marginale Behandlung erfährt (S. 299-300), obwohl sein Werk die Kriterien „kaiserzeitlich" und „historiographisch" weitaus mehr erfüllt als andere untersuchte Autoren. An Tränen mangelt es in Ab urbe condita jedenfalls nicht; sie treten gleich zu Beginn an zwei zentralen Erinnerungsorten römischer Geschichte auf: bei den Sabinerinnen (Liv. 1,10,1) und dem Suizid der Lucretia (Liv. 1,58,7). Damit wirkt die Zusammenstellung des Textcorpus insgesamt etwas willkürlich.